The 9 Month printed curriculum for Grades 3-4 includes materials for fall, winter, and spring (September through May) for 2016-2017. 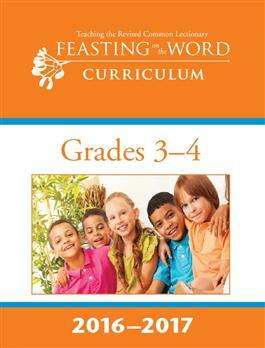 For this product, you will receive one bound, printed copy of the curriculum for each season and the curriculum will not be available as a download. Resources include leader guides, biblical background for teachers, reproducible resource sheets, age-appropriate activities, music lyrics, and full-color visuals from a printed color pack for each week. If you have multiple classes of this age level, additional color packs are available for purchase.